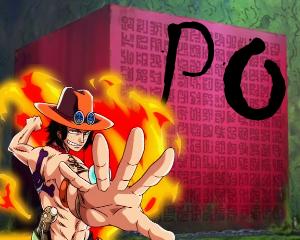 Previous discussions of One Piece anime episodes land here. Sticky: Poll: [Discussion] One Piece Episode 787 - The Emperor's Daughter! Sanji's fiancee - Pudding! Poll: [Discussion] One Piece Episode 858 - Another Crisis! Gear Four vs. Unstoppable Donuts! Poll: [Discussion] One Piece Episode 857 - Luffy Fights Back! The Invincible Katakuri's Weak Point! Poll: [Discussion] One Piece Episode 856 - The Forbidden Secret! Katakuri's Merienda! Poll: [Discussion] One Piece Episode 855 - The End of the Deadly Battle! Katakuri's Awakening in Anger! Poll: [Discussion] One Piece Episode 854 - The Threat of the Mole! Luffy's Silent Fight! Poll: [Discussion] One Piece Episode 853 - The Green Room! An Invincible Helmsman,Jimbie! Poll: [Discussion] One Piece Episode 852 - A Hard Battle Starts! Luffy vs.Katakuri! Poll: [Discussion] One Piece Episode 849 - Before the Dawn! Pedro,the Captain of the Guardians! Poll: [Discussion] One Piece Episode 848 - Save the Sunny! Fighting Bravely! Chopper and Brook! Poll: [Discussion] One Piece Episode 846 - A Lightning Counterattack! Nami and Zeus the Thundercloud! Poll: [Discussion] One Piece Episode 845 - Pudding's Determination! Ablaze! The Seducing Woods! Poll: [Discussion] One Piece Episode 843 - The Chateau Collapses! The Straw Hat's Great Escape Begins! Poll: [Discussion] One Piece Episode 842 - The Execution Begins! Luffy's Allied Forces Are Annihilated?! Poll: [Discussion] One Piece Episode 841 - Escape From the Tea Party! Luffy vs. Big Mom! Poll: [Discussion] One Piece Episode 840 - Cutting the Father-Son Relationship! Sanji and Judge! Poll: [Discussion] One Piece Episode 838 - The Launcher Blasts! The Moment of Big Mom's Assassination! Poll: [Discussion] One Piece Episode 837 - The Birth of Mom! The Day That Carmel Vanished!